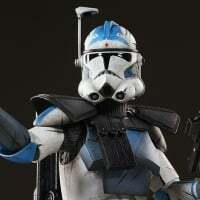 What would your thoughts be about a double customization for clone troopers or anything for that matter. One section goes to armor designs. Then the legion colorations and visual effects. 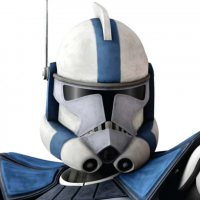 That way assault troopers could have the scout helmet for the camo or the og helmet. Thoughts? That's basically what I've been suggesting for almost a year now. Though my version was a little bit different. In my idea, the legion markings would be map defaults, so 41st elite green camo would just be automatic on Kashyyyk. Then you'd have two layers of customisation, the markings and the armor. Ideally since markings are pretty quick and easy to do, there be a whole bunch of them, and each player could choose markings they liked to represent their character... one person might have lots of heavy markings, one person might have very few markings other than some thin stripes, one person might have a handprint on the chest, one person might have some unusual markings on the helmet. But they would all show up in whatever color was designated by the legion of the map you're playing. Then for the armor and gear element, you could choose a BARC helmet, a Scout helmet, a reinforced helmet, a Gunner helmet, different pauldrons and straps and bags and bandoliers and so on. 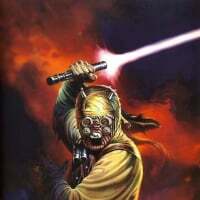 Then there would also be full "kit" skins, full-body gear sets like ARF Troopers, AT-RT Drivers, ARC Heavy Gunner, etc. I’ve followed your suggestions for some time now. It should be this way, as you’ve described. 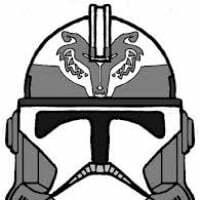 The customizations should be personal to each trooper, but within each legion. There would still have to be at least two legions per map since there aren’t enough maps. Your idea sounds good ArcTrooperBen, though I don't know if that would change the system too much. I don't want purchasable skins to be map locked though. If nothing else when you click on galactic Republic skins it would show two more sub sections. Armor and armor paint. It would be pretty cool if you could change some aspects of the legion armour (maybe each has one or two more options to buy for a few thousand credits once you've got the base skin), and if there were different helmets/armour styles for certain legions/classes (eg the 91st could have BARC helmets as either an option or the default, some Heavies could have a different helmet accessory for example lifted macrobinoculars, maybe there could be different pauldron/Kama designs).